The UK’s premiere film industry festival in support of emerging young filmmakers,the BFI Future Film Festival returns to BFI Southbank from 15-18 February for its 11th edition. The Festival is now over ten-years old and has doubled in size since its inception, with a jam-packed four days of nearly 60 events. Open to 16-25 year olds, the festival delivers interactive masterclasses, industry workshops, screenings and Q&A’s covering the breadth and depth of the film industry from animation and fiction to documentaries and experimental filmmaking. More and more young people are considering a career in film and with the UK film industry booming there has never been more demand for a skilled workforce and more opportunity for new talent. A BFI commissioned report revealed that there is an estimated 10,000 new entrants needed for the industry and 30,000 job opportunities over the next five years. 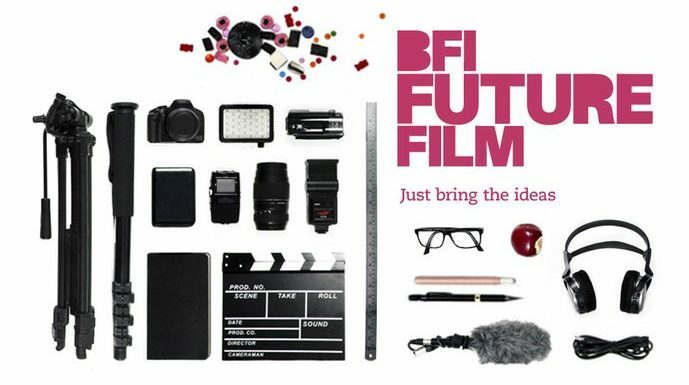 These entrants are supported by schemes such as the BFI Skills Strategy, a 10 point action plan to support the thousands required to join the UK screen sector with skills needed for production, construction, electrical, camera, art department and VFX – all of these skills are covered and explored by events at the BFI Film Future Film Festival. This year’s Festival has received over 2,000 submissions from across the UK and internationally, the best of which are nominated for the BFI Future Film Awards which have a cumulative prize of over £12,000. The awards comprise of five UK categories: recognising experimental shorts, new talent, and best short films for filmmakers aged 16-18 and 19-25. There are also an additional two international awards with support from The London School of English. Each day there will be a thematic shorts programme where ticket holders will have a chance to see the nominated films alongside other notable works submitted this year. The Festival continues to champion inclusion in filmmaking; for the fourth year running each day will commence with inspirational keynote speeches by female filmmakers including writer-director Kate Herron (SMEAR), VICE UK’s digital programming executive Eloise King and Loran Dunn (THE PIG CHILD). The Festival will also host a programme of shorts called Female portraits – which are personal and intimate accounts of everyday struggles that female protagonists face. The Festival will once again work with S.O.U.L – a foundation that celebrates and connects ethnic filmmakers – to present one of the events in the programme. Finally, masterclasses from award-winning director Athina Rachel Tsangari (CHEVALIER), editor Joe Bini (WE NEED TO TALK ABOUT KEVIN) and producer Robyn Slovo (TINKER TAILOR SOLDIER SPY) are additional special features. LaCie has been announced as the 2018 Festival’s Headline partner and year-round sponsor of BFI Future Film. LaCie are the premium brand of Seagate Technology and design worldclass storage solutions for creative professionals. They are supporting a number of events across the Festival, partnering with the ‘Backstage’ at the Future Film Festival space and presenting our BFI Future Film Lab Award and bursary of £5,000 in recognition of the best new talent at the Festival.